The dream team who created international best-seller The Gruffalo are at their bright and breezy best in this rollicking romp that will cast a betwitching spell for Hallowe’en and beyond. 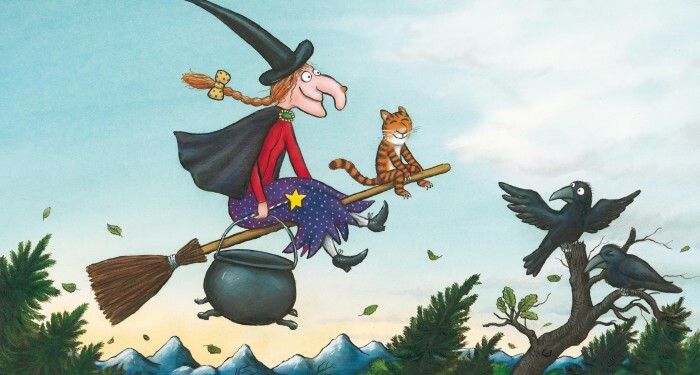 Setting the scene in jaunty rhyme, there is a sense of calm before the storm as this well-loved tale begins as the warts-and-all witch and her cat wing their way merrily along on their broom. Suddenly, a gust of wind whisks off the witch’s hat and brings an abrupt halt to their journey. Thankfully, a helpful dog retrieves it but asks as reward: “Is there room on the broom for me?” The generous witch agrees with an emphatic “Yes!” Setting off again, with a cat and a dog in tow, she clutches her hat tightly – but this time it’s the bow in her hair that is whisked away. When a kindly green bird comes to the rescue and returns the bow, he too joins the merry ensemble. But then another mishap befalls them. After a final tumble (and a dramatic broom malfunction) the pace quickens, as a fierce dragon enters the scene, smacking his greedy lips at the thought of witch and chips. Cue a spot of quick thinking by the animal menagerie, who repay the witch’s kindness with an ingenious plan that sends the dragon packing. 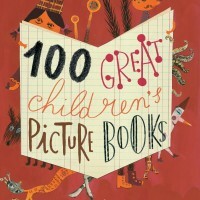 First published in 2001, this is a brilliantly conceived narrative built on a bedrock of friendship and teamwork. 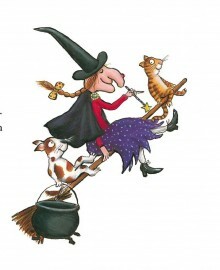 Far from being wicked, Donaldson’s Witch is kind and nurturing, and the animals she meets are all courteous and polite – with one fiery exception, of course. 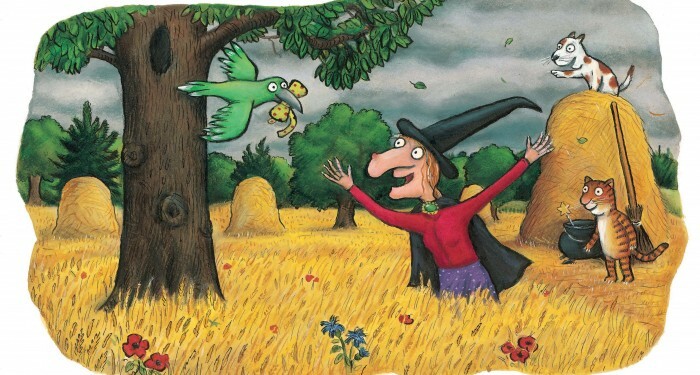 Donaldson’s lyrical way with words and catchy repetitive refrains are at the heart of her masterful storytelling, whilst Scheffler’s brilliantly expressive pictures bring added charm and humour – and the occasional wart – to the characters, making this a true classic that’s not just for Halloween! Did you know? The Wicked Witch of the West from The Wizard of Oz was ranked No 4 in the American Film Institute’s 2003 list of the 50 Best Movie Villains of All Time, making her the top-ranking female villain. Author Notes Born in 1948, Julia Donaldson is a celebrated British writer, playwright and performer, the 2011–2013 Children’s Laureate and the prize-winning author of some of the world’s most-loved children’s books, most notably the modern classic The Gruffalo which has sold over 5 million copies worldwide. 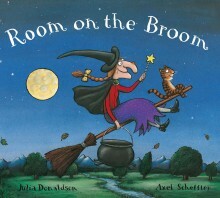 Julia is best known for her popular rhyming stories for children, including Stick Man, The Gruffalo, and Room on the Broom, illustrated by Axel Scheffler. 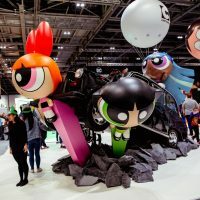 She has also collaborated with David Roberts on Tyrannosaurus Drip, The Troll and Jack and the Flumflum Tree. In 2011, Julia was awarded an MBE for her services to Literature. She lives in Glasgow with her husband. 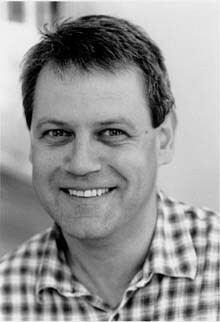 Born in Hamburg, Germany, Axel Scheffler is best known for his partnership with Julia Donaldson, including The Squash and the Squeeze and The Gruffalo. 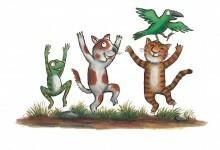 Axel has illustrated a number of other highly successful books, including Muddle Farm, and his books have been translated into 42 languages. Axel lives in London with his partner and young daughter.